After re-imagining Canada’s national brand identity last year with a spec campaign called Know Canada, Bruce Mau Design actualized its concept for brand Canada with the release of a new photo app Monday. Like the app, the campaign focused on the two columns of Canada’s flag, which it imagined on everything from beer mugs to wild postings of famous Canadians like Justin Bieber and Margaret Atwood. 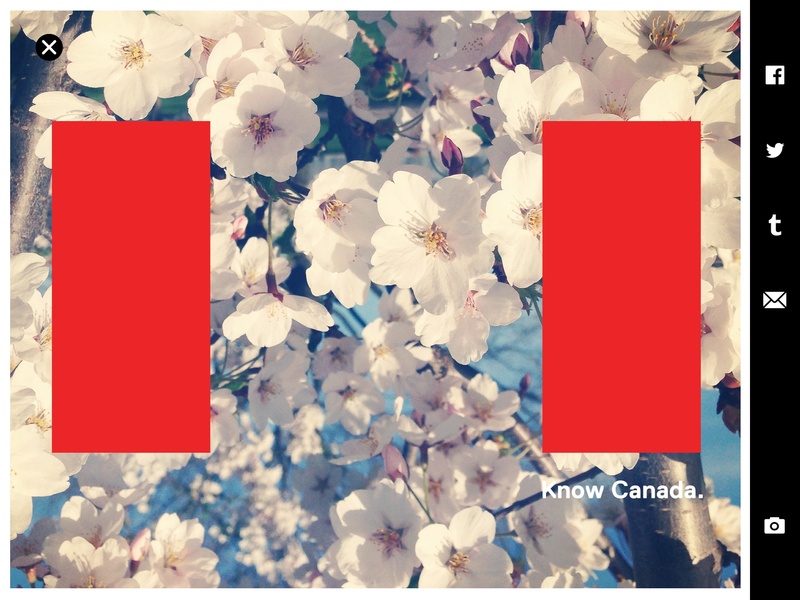 Ahead of Canada Day, the agency also redesigned Know Canada’s campaign website to include a gallery of Canadian imagery and created a video showcasing how the app can be used. Tura said the agency plans to promote the app on Facebook and Twitter, as well as its own channels, and will consider expanding the Know Canada campaign to include other forms of media in 2014.